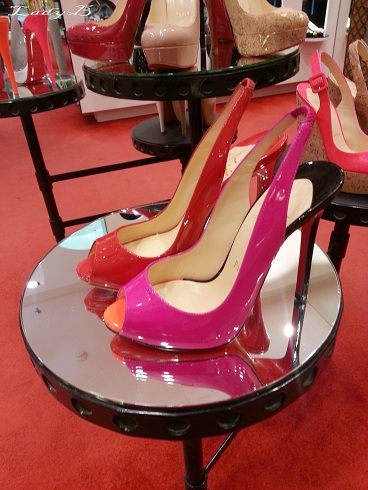 Christian Louboutin, you're driving me crazy ! As I entered the store all of my intentions of buying a basic pair of black pumps simply faded away, those yummy spring/summer colours simply wiped all of the good intentions ! 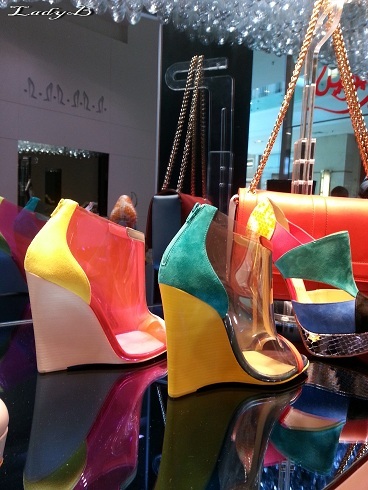 I'm no colour shy at all , it tempts me and having tri-colour gorgeous footwear at an arms length was hard to resist.. 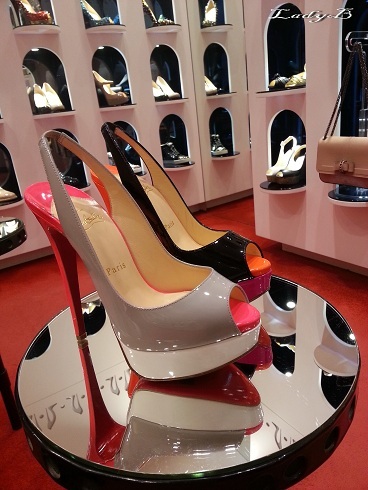 The first pair above, tri-colour wedges, pvc, suede and leather who would say no to this? PVC is on the current top trends right now, so gonna bore you out with pvc this pvc that ! Classic peep-toe slingback with a twist, gorgeous bold colours ..
Another sling-backs following the tri-colour trend as well..
Can you guess what pair I went for? After trying a dozen pairs ofcourse..